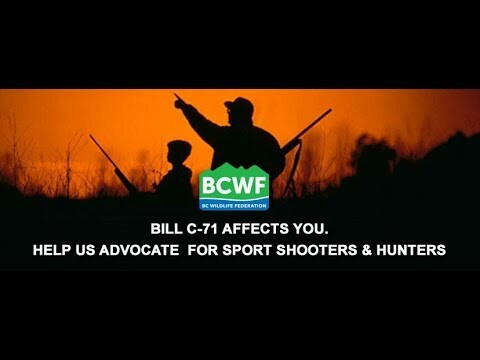 Thread: Does the BCWF intend to weigh in on the suggested handgun and 'assault weapons' ban? Honestly, gun laws are not what the bcwf need spend much time and effort in. Firstly, I think there are enough "gun affiliated lobbyists" running around already to make sure it doesn't happen. BCWF to be focused on. Lets face it, BCWF is going thru a period right now, that if they don't get their act together real quick, it is going to be the end of BCWF in the not to distant future by many members walking away from their memberships. May want to call up the NRA etc to send some folks up for the gun issues. I think they should. Why ? Because the current Goberment is saying only FN, hunters and farmers should be able to use guns. Who better to talk about that than the BCWF ? Stop this division, all orgs need to jump on this. The end game is bigger than people think IMO. I keep seeing threads about the next hunting trip, well if Blair gets his way with CENTRAL STORAGE FOR ALL GUNS have fun trying to hunt on the fly.